This month we had the honor to photograph some local children for Autism Awareness. Getting to photograph these autistic children was magical and we are truly thankful for the opportunity. We saw their personalities come alive and we were able to capture the essence of who they are... spunkiness and all! Autism Awareness is so important, but more importantly, remember that life is 10% what happens to us and 90% how we react to it. The next image in our black and white series we want to highlight is Mari Hyun. When you plan your bridal portrait - a portrait that turns in to an heirloom piece - what better than to add a personal touch to it…? This is a favorite bridal portrait of ours because it tells the story of Mari, a bride and an incredible dancer, with a passion for point (as a performer and as a teacher), continuing the Lawlor family legacy. The first image in our black and white series really takes a creative twist! 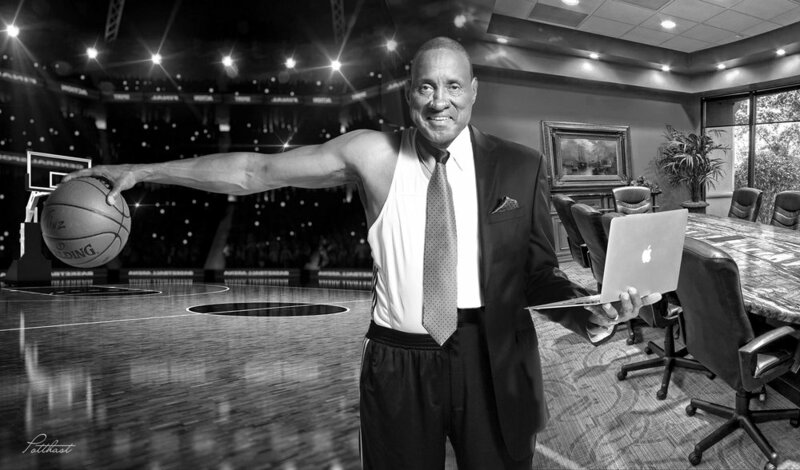 George Tinsley is a very accomplished business man, a former professional basketball player and a devoted man to serving young children grow to their potential. We loved creating this finished product for Mr. Tinsley!